For many sleepers (myself included), staying cool throughout the night can be a challenge. Fortunately, some bedding is built to be cooler and more breathable than the rest. But how are you supposed to determine which bedsheets are going to be the best for keeping you cool and cozy? Well, I’ve rounded up six of my favorite sheet sets specifically for hot sleepers. So, whether you’re trying to stave off summer night sweats, or just love the airy caress of a breathable set of sheets — this review is for folks who love to sleep cool. 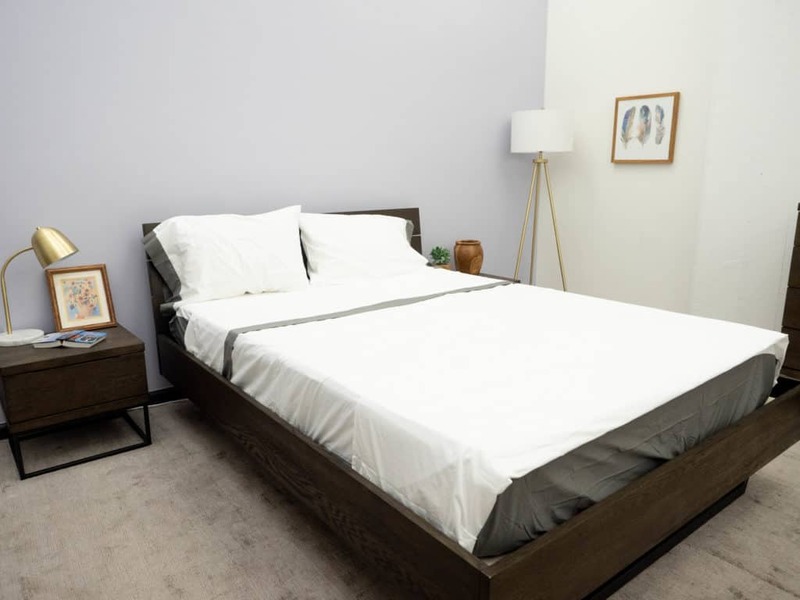 These sheets are uniquely stretchy, moisture-wicking, and super soft — and they go great with a Purple mattress! Why Are These The Best Sheets for Hot Sleepers? While the sheet sets in this roundup feature different fabrics, weave styles, and designs, they all have one main thing in common — they were designed to keep you cool. Whether it’s due to extra breathable materials, moisture-wicking properties, or a super lightweight construction, each of these sheet sets offer their own uniquely cooling qualities. The fun part is deciding which bedding is best for your body, your bed, and your lifestyle! So, let’s take a closer examination of each sheet set so you can find the cooling bedding of your dreams. If you’re looking for that classic, crisp set of white cotton sheets — this is one of my top picks. 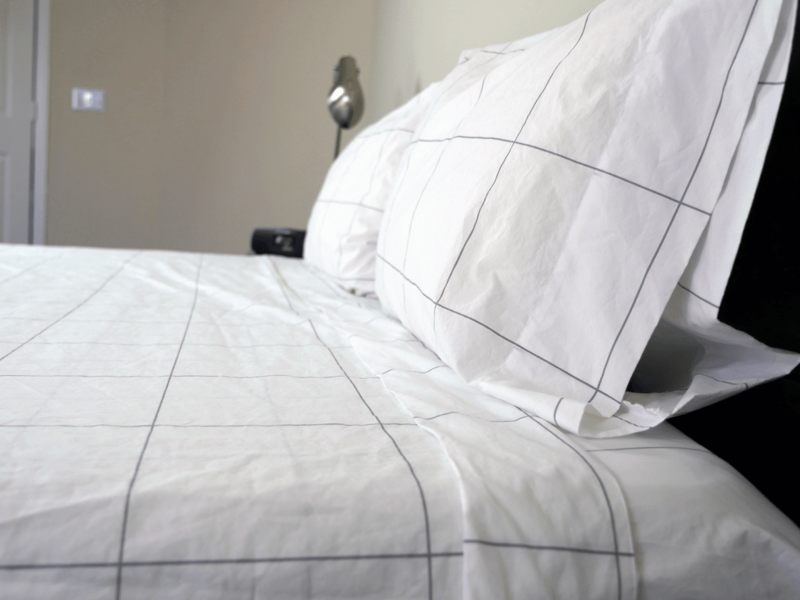 They are woven from 100% long-staple cotton, feature a very breathable percale weave, and a 270 thread count. They have a super soft and durable feel, but they are also very light and breathable — making them ideal for sleepers who run hot. In general, percale woven bedding lies lighter on the body, and provides better airflow as compared to sateen bedding. So, the light, airy nature of these sheets serves to help the sleeper stay cool all night. But the thing that sets this sheet set apart from the others we’re looking at here is its super crisp feel. Crispness is also a common characteristic of percale bedding, but these may very well be the crispest percale sheets I’ve ever tested. They evoke a fresh, hotel-bed feel that many sleepers might find particularly comforting. So, if you’re a sleeper who needs a light, airy sheet set to help keep cool, but also loves a very crisp feel — these are probably going to be right up your alley! These sheets range in price from $109-$149. And if you want to learn more about my personal experience testing these sheets, be sure to check out my full review of Brooklinen’s Classic Core Sheet Set! 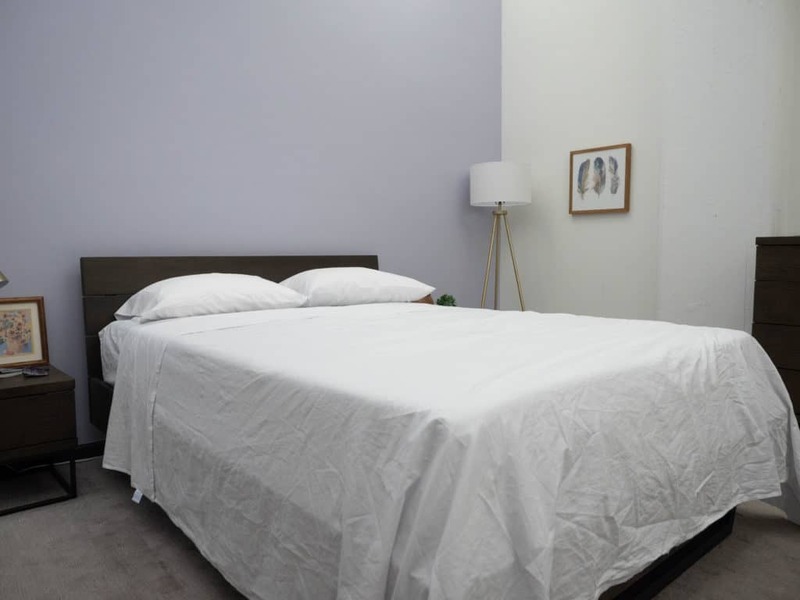 The Purple sheets offer a totally different feel as compared the Brooklinen sheets (and every sheet set I’ve ever tested, for that matter). But rest assured — they bring some fabulous cooling qualities to the table. These sheets are made from a blend of spandex and viscose from bamboo which combines to offer a super stretchy, light, and breathable feel. So, this light breathability is going to do a great job of keeping sleepers cool — but because this bedding is bamboo-based, we can enjoy some extra perks that are unique to this material. For example, bamboo has a reputation for being durable, hypoallergenic, eco-friendly, and naturally moisture-wicking. The moisture-wicking ability of these sheets further serves to keep sleepers cool, dry, and feeling fresh. So, if you’re prone to night sweats and want to give bamboo bedding a try, I heartily recommend these sheets. 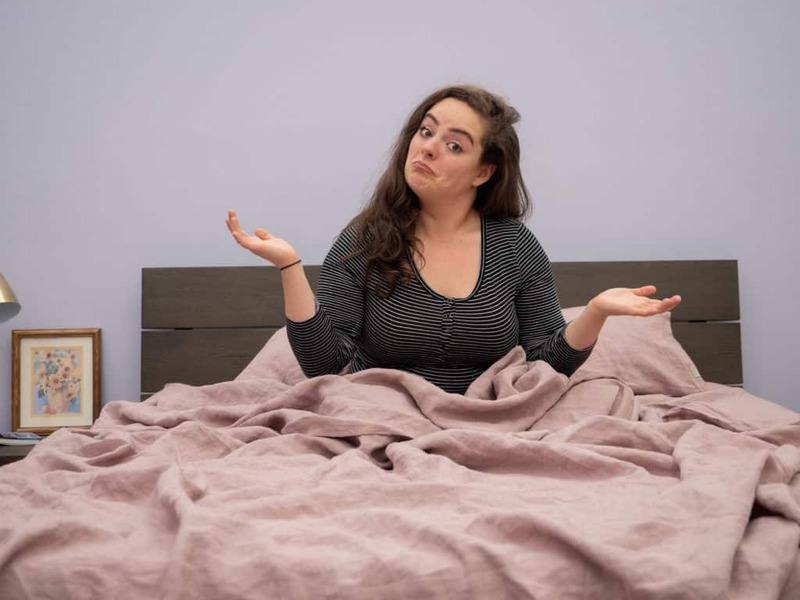 Not to mention, the durability of the bamboo works with the stretchiness of the spandex in a way that makes these sheets feel like you could pull, billow, and wash them again and again, and they’d always return to their original form. Pricing for these sheets ranges from $99-$129 which, in my opinion, is a great value (especially since bamboo bedding tends to come with a high price tag). 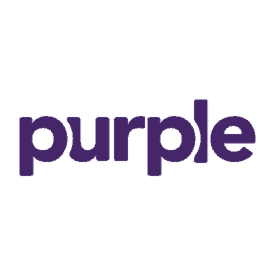 If you want to learn every last detail about these sheets, or learn more about the benefits of bamboo-based bedding, check out my full review of Purple’s sheets! Alright, moving on to the Garment Washed Sheet set from Lime & Leaf! These sheets are made from 100% long-staple Supima cotton, which is widely regarded as one of the higher quality cottons out there. So, this bedding offers some strong durability, but also feels airy and light. These sheets are percale woven so, like I mentioned before, this weave style lends itself to better breathability which will help keep the sleeper cool. But because these sheets are garment washed, they offer an extra-soft, casually lived-in feel that separates them from the rest of the sets we’re looking at here. The garment washing process leaves them feeling less crisp, but still very cool to the touch. More: For those who are not sure about what garment washing is — it’s a technique within textile manufacturing that’s used to enhance the softness and comfort of the fabric, while also giving it a uniquely ‘worn-in’ aesthetic. The folks at Lime & Leaf describe the feel of these sheets as, “how their grandmothers’ sheets used to feel — cool from the percale weave, and soft from many years of washing.” And I’d have to agree with that assessment! So, if you’re a hot sleeper who loves the feel of cool, light, sheets (but also wants to see what this worn-in, garment washed feel is all about), I recommend you give these sheets a try. Pricing for these sheets ranges from $164-$228, depending on which size set you choose. 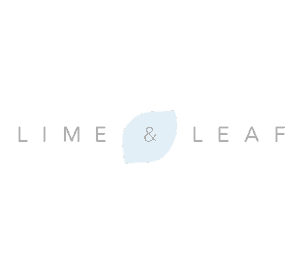 And if you want to learn every last detail about these sheets, check out my written and video reviews of the Lime & Leaf sheets! Similar to the Lime & Leaf sheets, Casper’s Cool Supima sheets are made from 100% long-staple Supima cotton, and feature a breathable percale weave. So, these sheets are light, airy, and, as the name suggests, cool to the touch. However, what I think is kind of special about these sheets is that they offer a really nice balance between smooth and crisp. When comparing all of these sheet sets side by side, the feel of Casper’s bedding falls right between Brooklinen’s super crisp feel, and Lime & Leaf’s smooth, garment washed feel. So, you’re still getting that crisp, hotel-bed feel, but there’s also a creamy-smooth factor at play as well. The folks at Casper say that these sheets were crafted to feel “sublimely balanced,” and I can’t say I disagree. Oftentimes, percale bedding is crisp at the expense of smoothness. Conversely, sateen bedding is often smooth and not at all crisp. But these sheets have a very inviting blend of both traits. 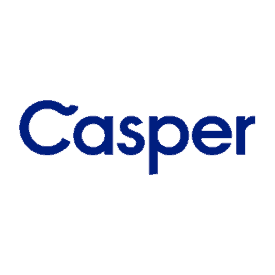 Something I, personally, like about Casper’s sheets is they aren’t just breathable — they actually feel cool to the touch as well. So, if you love a cool, breathable set of sheets, but want to make sure you’re not missing out on any smoothness, these might be the sheets for you. These sheets range in price from $100-$170, depending on which size you get. If you want the full scoop on Casper’s Cool Supima Sheet Set, check out my full review! Speaking of sateen bedding, allow me to introduce the only sateen woven sheets on this list — the Saatva Dreams Lofton Sheet Set. These sheets are woven from 100% long-staple organic cotton into a 300 thread count, which offers a feel that’s soft, durable, and silky. In general, sateen woven sheets are more silky in feel, and much less crisp. Additionally, a sateen weave tends to produce a thicker sheet that lies heavier on the body, and is less breathable. So, between the two weave styles, percale almost always sleeps cooler. However, these sheets are among the lightest, most breathable sateen sheets I’ve ever tested. True to a sateen weave, they feel very silky to the touch, and offer a pretty, lustrous sheen. But every time I sleep on these sheets (these are the sheets I have at home), I’m surprised by how light and cool they are. So, sleepers who love the silky, lustrous nature of sateen bedding, but wish it didn’t sleep so darn warm — I really recommend you try these sheets. Not to mention, they are certified organic and a product of Fair Trade manufacturing. So, eco-friendly sleepers, and folks who prioritize ethically sourced bedding might be particularly compatible with these sheets. These sheets range in price from $125-$215 (depending on which size you get), and are offered in a variety of colors. For my full thoughts on this sheet set, check out my review of the Saatva Dreams Lofton Sheet Set! And last, but certainly not least, we have the Woodrose Sheet Set from MagicLinen. 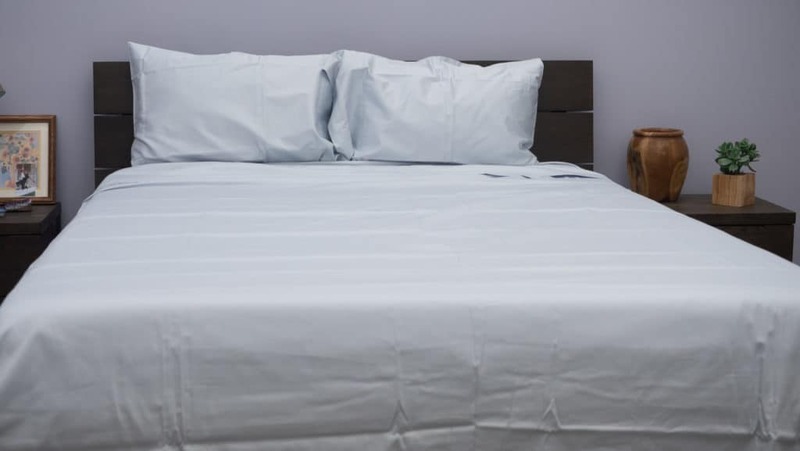 Now, these sheets are made from 100% linen, which is widely regarded as one of the most breathable fabrics out there. So, anyone who’s ever worn a linen garment might already know about its cooling properties. However, there’s something special that separates these sheets from some other linen bedding out there. Because these are made from pure linen, they’re going to offer great airflow which is, of course, going to serve to dissipate body heat. Linen is also naturally moisture-wicking which helps keep the sleeper dry, and stave off those night sweats. Of course, what sets these sheets apart from the others on this list is the texture. Linen has a texture that’s more coarse in nature, kind of in a gently massaging way. However, something special about these sheets is that they’ve been stone washed. Similar to the garment washing we see with the Lime & Leaf sheets, stone washing serves to boost that softness factor, and make these sheets a little more flexible. 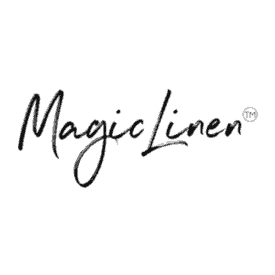 So, if you love how breathable and cooling linen is, but wish it were a little softer and less coarse — I definitely recommend you give MagicLinen a try! Now, in general, linen comes with a higher price tag — and these range in price from $209-$309. However, linen bedding is ultra-durable, sustainably sourced, and offers a unique aesthetic and feel. So, if you’re a linen-lover, these might just be worth the investment. For all the details on these sheets, check out my full review of the Woodrose sheets from MagicLinen! So, Which Sheets Should I Buy? Well, now we know that all of these sheets offer their own, special cooling properties. But let’s go over all this beddings’ highlights so you can get a good idea about which sheet set is the best for you. Very Crisp — In my opinion, this sheet set’s claim to fame is all about the crispness. They offer a fresh, hotel-bed feel that would appeal to sleepers of all styles — but especially to those for whom sheets can never be too crisp. Super Light — These sheets lie very light on the body. So, in addition to being breathable, they also offer an airy, lightweight quality that’s ideal for hot summer nights. Bedding Essential — These sheets fall into the category of bedding essentials. They’re white, cotton, percale, and crisp which, in my opinion, is a must-have for every bedroom collection. So, if you’re looking to boost your bedding essentials, this is a great place to start. Stretchy & Soft — The combo of bamboo and spandex leaves these sheets feeling super stretchy, durable, and oh-so-soft. So, if you love the cool breathability of bamboo, but want to try a stretchy set of sheets that flex with your mattress — these are the sheets for you. Moisture-Wicking — Bamboo is naturally moisture-wicking and, fortunately for us, these sheets adopted that property. This bedding’s breathability and moisture-wicking ability combine to keep the sleeper feeling cool, dry, and fresh. Great Value — Of all the sheet sets we’re looking at here, these are the least expensive. Typically, bamboo-based bedding comes with a higher price tag, so these are an exceptionally good deal. Cozy & Cool — The garment washed quality of these sheets contributes to a very cozy and cool feel that’s unique to this textile manufacturing method. Casually Lived-In — Not only do these sheets feel cozy and cool from the garment washing, but they have a casually lived-in look as well. So, if you’re into the rustic, worn-in aesthetic these sheets provide, I’d say give them a try! Lightweight — These sheets are so light, it barely feels like they’re even there. If you’re someone who doesn’t like to feel weighed down at all by a top sheet, you might be particularly compatible with these sheets. Balanced Feel — These sheets offer a really nice balance between crisp and smooth. So, if you love a nice, fresh crispness, but want to make sure you’re still getting some smoothness as well — these blend both of those traits very well. The Casper Look — The style of these sheets mimics the aesthetic of the Casper mattress. So, if you have a Casper mattress, and you want a sheet set to (literally) match, these are the sheets for you. Cool to the Touch — Beyond breathability, these sheets feel cool to the touch. So, they’re going to dissipate body heat and actively serve to keep you cool all night. Silky Feel — Of all the sheets on this list, these offer the silkiest feel. They are sateen woven, so you’re getting that sumptuously smooth handfeel — but they also keep you cool! Lustrous Sheen — True to a sateen weave, these sheets offer a very pretty lustrous sheen. Folks who like their sheets to have a luminous shine should strongly consider these! Elegant Drape — In keeping with that sateen personality, these sheets offer a body-conforming drape that silhouettes your shape in an elegant-yet-comfy way. Stone Washed — Folks who love the coarse texture of linen (but wish it were toned down just a tad) might be especially compatible with these sheets. Because they are stoned washed, they are softer and more flexible as compared to linen sheets that have not been through the stone washing process. Sustainably Sourced — These sheets are made from 100% linen which is derived from natural flax fibers. So, sleeping on a fabric that’s naturally and sustainably sourced is a nice perk for eco-friendly sleepers. Ultra-Breathable — Linen is widely regarded as one of the most breathable fabrics out there. So, it’s going to do a great job of dissipating your body’s heat, helping you to stay cool the whole night through!